Ajith's Vivegam which released yesterday is sure to have opened well as the fans had waited for nearly 2o months to see Ajith back on screen. As usual, there were early special shows from 4:30 am in the morning at many theatres across the state. 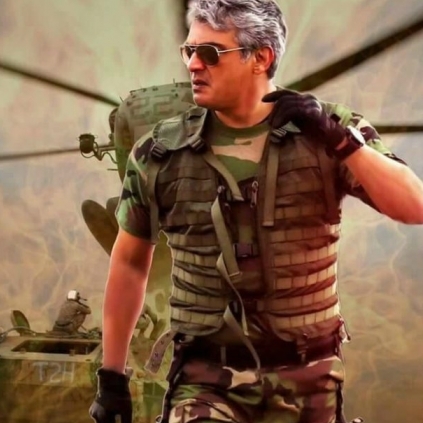 The initial response to the movie is reportedly mixed, but that doesn't affect the good opening, that Ajith usually enjoys. The movie has collected around Rs. 1.2 Cr in Chennai on Day1 as predicted by our Behindwoods Box Office wing. The big collections only convey the opening weekend collection is expected to be good. While we checked with our sources in Coimbatore, the response is very similar to Chennai and the movie is estimated to have collected somewhere between Rs. 1.3 Cr - 1.5 Cr. These data are not an official report from producers but sourced by our team. Watch out this space for the collections from other areas and TN shortly. Massive Combo! Anirudh and Yuvan Shankar Raja join hands for this film! The blockbuster comedy combo is officially back! People looking for online information on Ajith Kumar, Siva, Vivegam will find this news story useful.